The traditional four year take-all-your-courses-at-the-same-university plan is the worst way to get a college education, no apologies. Too much time is spent learning too little while spending too much money. You can graduate early and save thousands of dollars. You can graduate in the traditional four years, but take fewer classes each semester so that you spend less money and have less time committed to school. This could mean getting better grades in the courses you are taking, having time to work a part time job, having time to hang out with friends or whatever else you might want to do. This might mean you can attend college when you wouldnâ€™t have been able to before. In this book, I share how I finished my degree from the University of Arkansas in two and a half years (with no summer school!) and how you can use the same techniques to accomplish your goals. These techniques apply to all career goals and majors. After you have read this book, you will know about all the options and will be well equipped to plan the education that is the best for you. This will help you in tremendous ways for years to come. The key is making a plan that works for you. No one else in the world has the same abilities and goals you have, so your education plan should look different from everyone elseâ€™s plans. This could include going to a local community college for a year or two before you apply to a four year university, taking tests to get credit for what you already know, getting credit for doing absolutely nothing (rare, but strangely rewarding! ), taking online courses from a different university than the one you are attending, becoming an expert in planning out your traditional courses, and much more! Take charge of your education today! *Note: The information in this book is applicable to most colleges in the United States. Some very exclusive colleges, such as Harvard or Yale, have very strict policies and only a few of my techniques will apply. 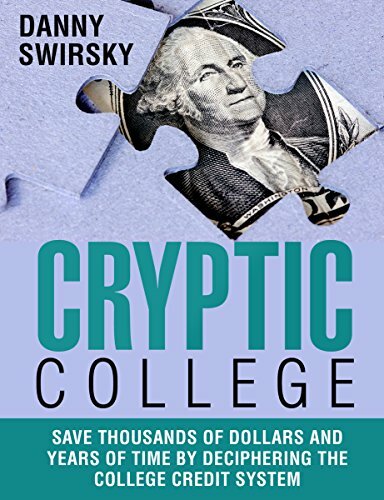 Every college has their own policies, but I describe many different techniques in my book so that you can create a plan that will work for the majority of colleges, including well-known schools such as the University of Arkansas or Texas A&M.